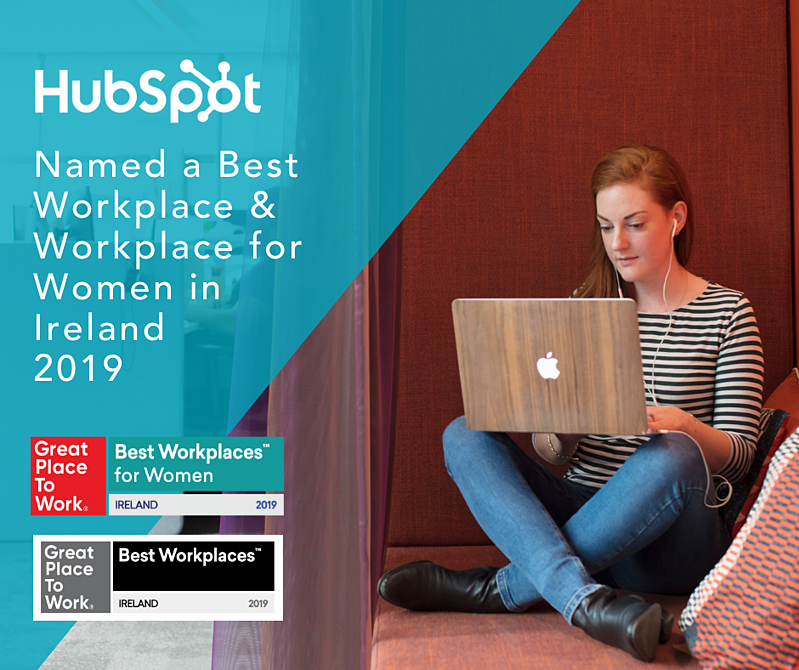 HubSpot is excited to announce that its EMEA headquarters in Dublin has been recognised as 2019's #5 Best Workplace by Great Place To Work Ireland, and has been named a Best Workplace for Women, a new award by Great Place to Work Ireland, the global institute which identifies leading organisations in more than 45 countries worldwide. HubSpot accepted both awards at the 17th annual Great Place to Work Best Workplaces in Ireland ceremony in the Clayton Hotel, Dublin on Wednesday 27th February. Great Place to Work assesses and awards organisations for having remarkable culture and management practices based on employee surveys and culture audit. During the assessment, HubSpot earned high marks from employees for its commitment to company culture and innovative approach to the future of work. Learn more in our Culture Code which has over 4M views today. We’re especially proud to be recognised in the first-ever Best Workplaces for Women, as we are passionate about supporting and empowering gender diversity in HubSpot with dedicated programming, a Women@HubSpot resource group, workshops, events, and more. “I am delighted that HubSpot Dublin has been named a best workplace by Great Place to Work Ireland, for the second consecutive year. I’m incredibly proud of the Dublin team, and the time and effort they dedicate to creating an inclusive environment, helping our customers grow, and providing feedback on how we can always be improving as a company” said Christian Kinnear, HubSpot’s EMEA Managing Director. HubSpot is on a mission to not only help millions of organizations grow better, but to help our employees grow better, too, by building an inclusive environment where everyone can bring their authentic selves to work. We value employees who embody HEART - humble, empathy, adaptable, remarkable and transparent - and the Great Place to Work employee feedback survey confirmed that these core values are key to creating a thriving work environment. 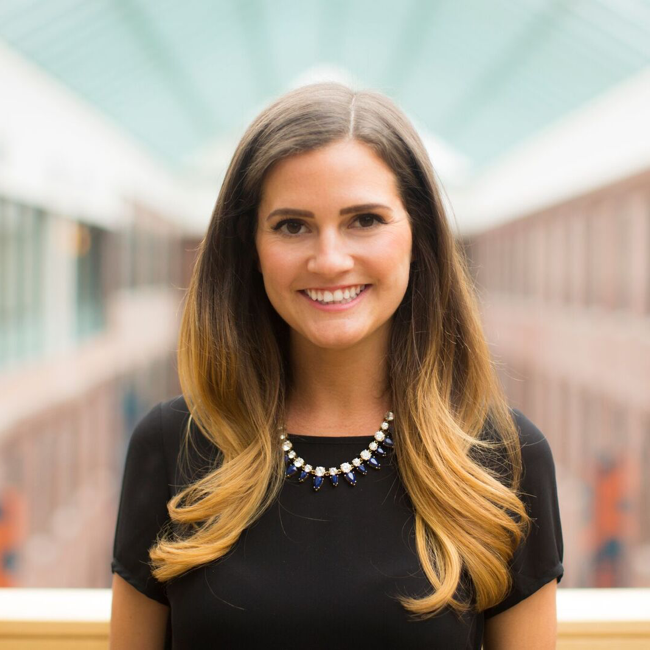 Of the Women’s award, HubSpot’s Culture Program Manager Kate Moran said, "Supporting and empowering women in the workplace is hugely important in HubSpot. Our employee resource group, Women@HubSpot’s mission is to build and promote a culture that empowers women by identifying opportunities, providing resources and encouraging support for one another at every stage of career growth. It's a refreshing experience to watch our company grow better everyday and I couldn't be more excited about what the future holds for HubSpot. Congratulations to every employee who truly makes HubSpot a remarkable place to work for everyone." To further our commitment to promoting diversity in the workplace, HubSpot recently launched our 2019 Diversity Data and new webpage all about our programming and commitment to diversity. Namely, we are proud to see female representation at the leadership level increase at HubSpot, as well as on our board. HubSpot is one of only 20% of companies to have three women on its board. To learn more about HubSpot’s culture and see open positions in our Dublin office, please visit our website.